Linen dress with lacing and trimming. 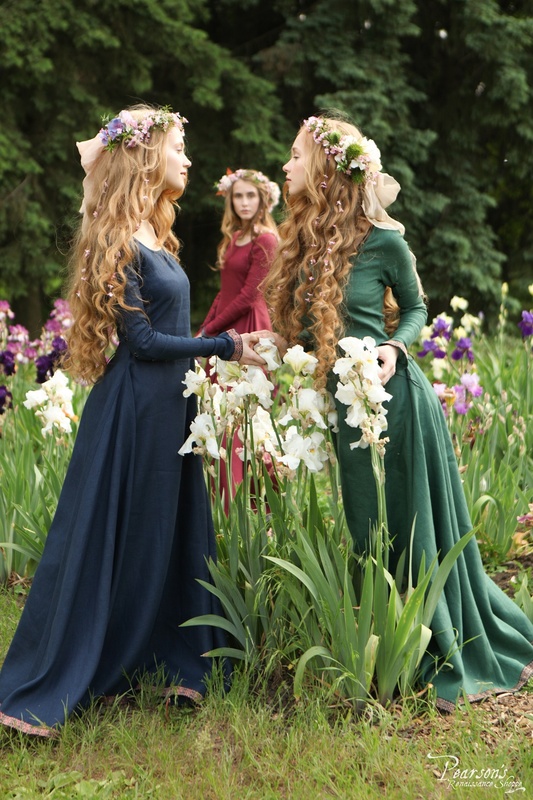 Meet those dressed in fragrant, haze, and flowing garb, who lures you into the Secret Garden. Elegant dresses of luscious colors will make your bridesmaids bloom. Its simple inner construction ensures the bride's dress remains a focal point. Broad oval neckline with linen binding reveals just the right amount of skin, while the lacing lends a graceful silhouette and allows easy fitting. Full sweeping maxi skirt keeps the beauties up dancing and twirling all day long. Vibrant trimming at the cuffs and hem reminds us of the Moorish ornaments, which were big in Southern Europe for XIII-XV centuries. Burgundy dress comes with blue trim, Green dress - with brown trim, and Midnight - with red trim, as pictured. 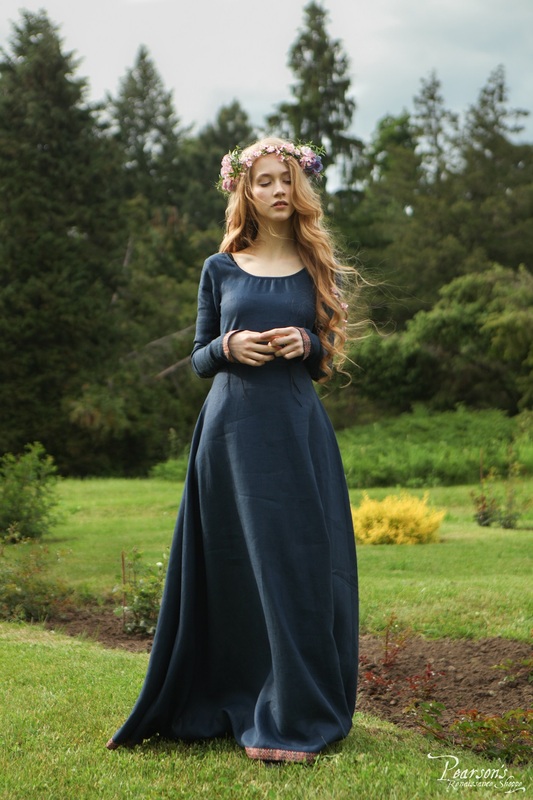 Designed to match the Men’s linen costume - a great solution for medieval bridesmaids and groomsmen! Please note, the dress of size 6, 8, 10, 12 has the side bust darts for better shaping. Also, if the difference between your bust and waist circumferences exceeds 9 13/16 in, the dress won't fit tightly. 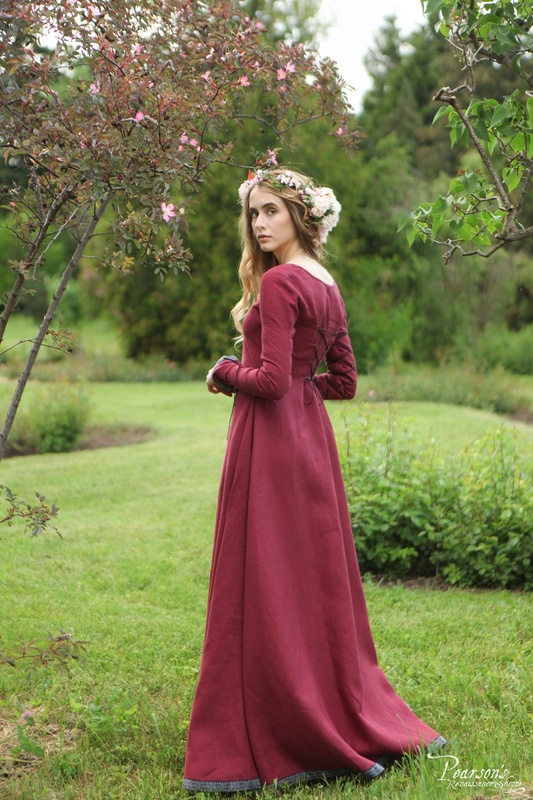 All about pristine charm, our Secret Garden dress is the epitome of medieval style. Give in the temptation to wander its narrow paths and gazing at a lost world where nature reigns supreme.